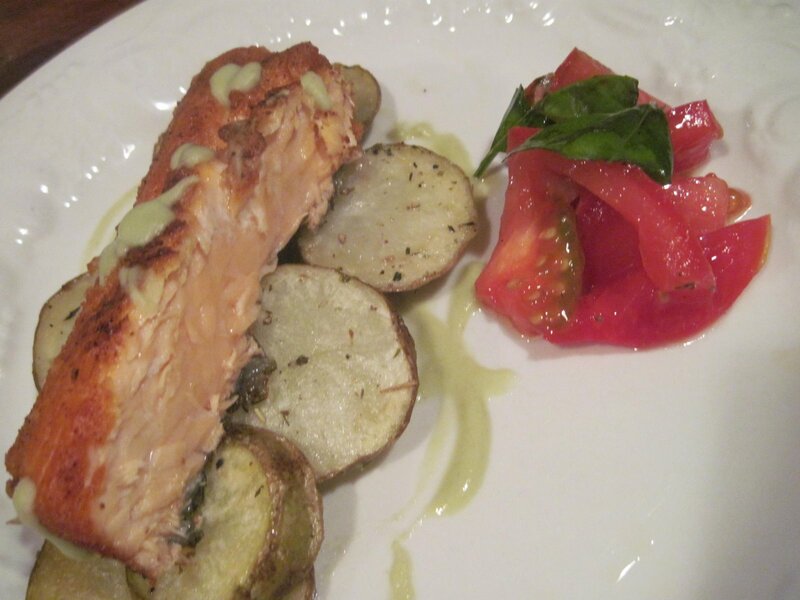 Easy Wok Salmon, Easy Crispy Potatoes and Easy Tomatoes. 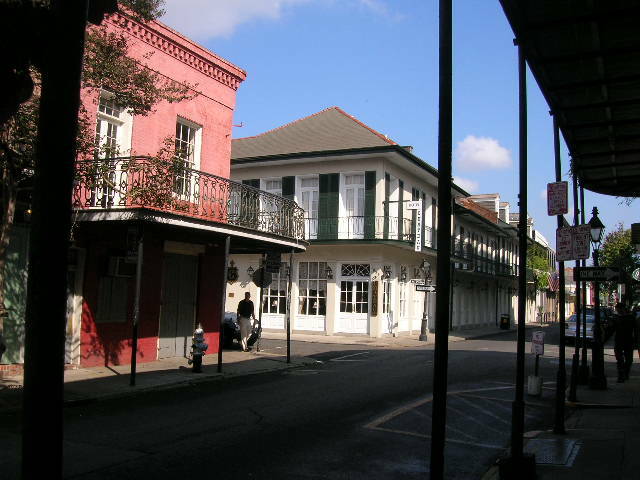 French Quarter- this is where you can buy: Slap Ya Mama Cajun Seasoning. 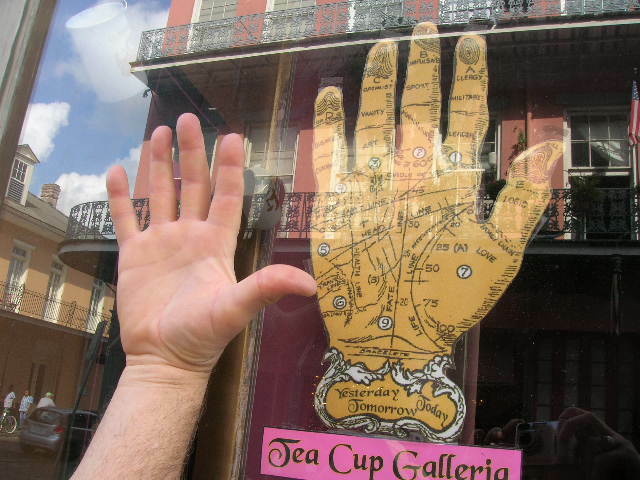 Palm Reader- Looks about right. 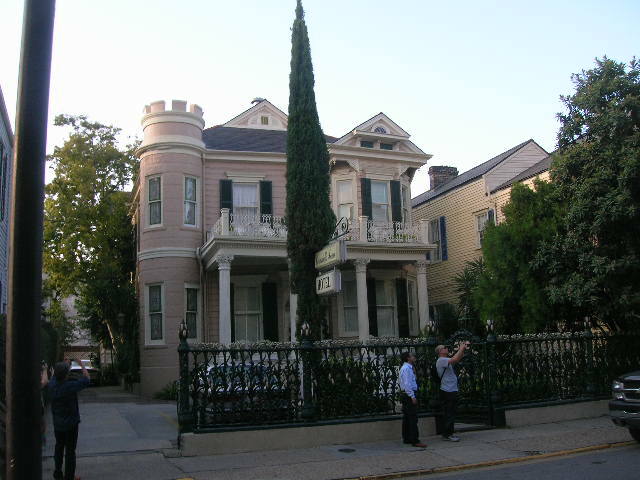 You will be doing a lot of traveling. You love to cook. You love to eat. You will be writing a Cooking Blog. You will be painting. You will be traveling. You will be doing an awful amount of eating, better start running again! Dinner with the GU Chimes. 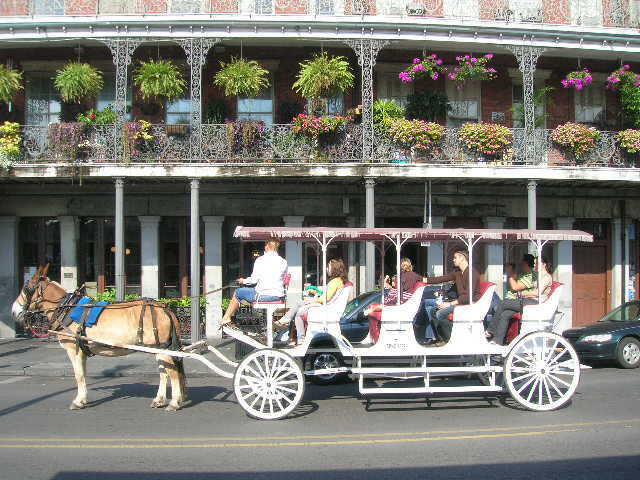 A carriage ride around French Quarter. 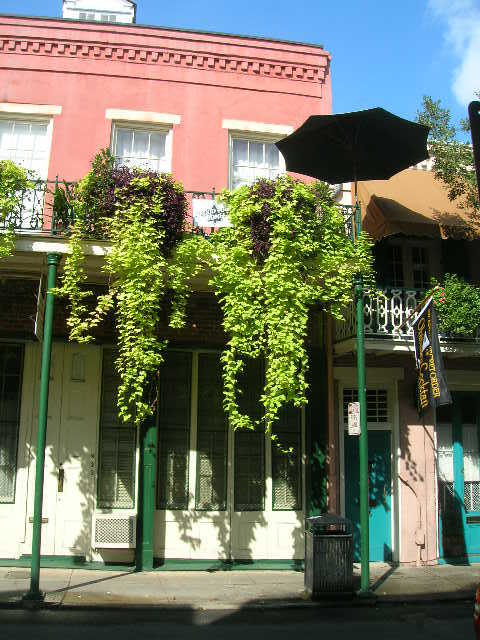 I really love New Orleans, and they do have amazing window boxes. 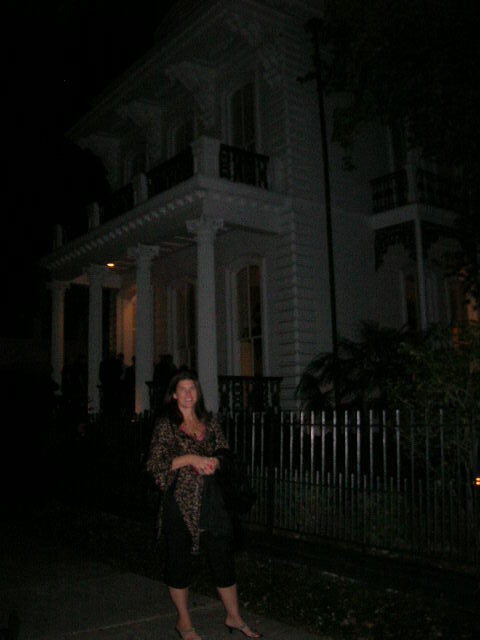 Taking a stroll, walking off the Beignets. 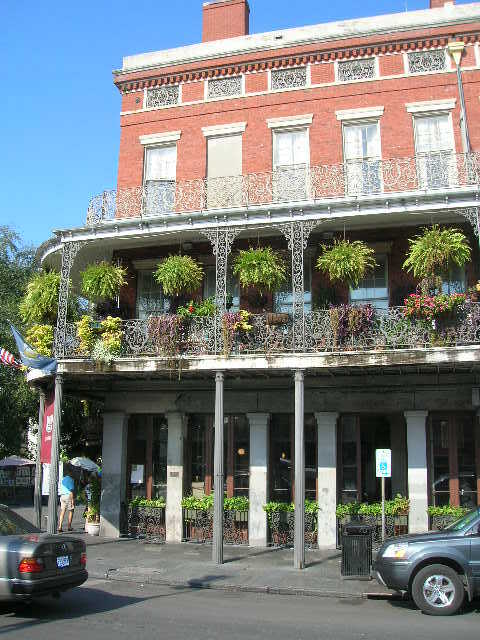 These are the window boxes that I aspire to have. Salmon with Slap Ya Mama Cajun Spices straight from New Orleans- pronounced: NOR- Lin’s. 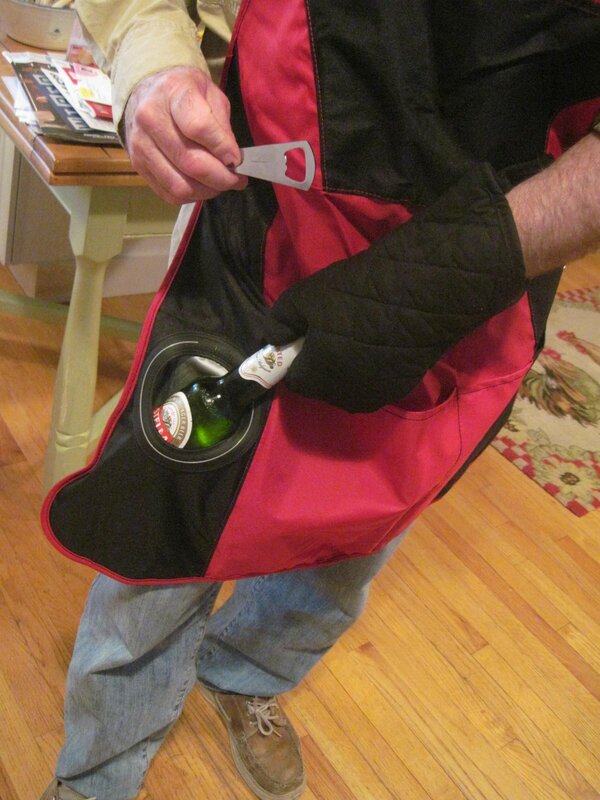 My barbecuer’s dream apron, equipped with a bottle holder, stretchy attached bottle opener and oven mitt. 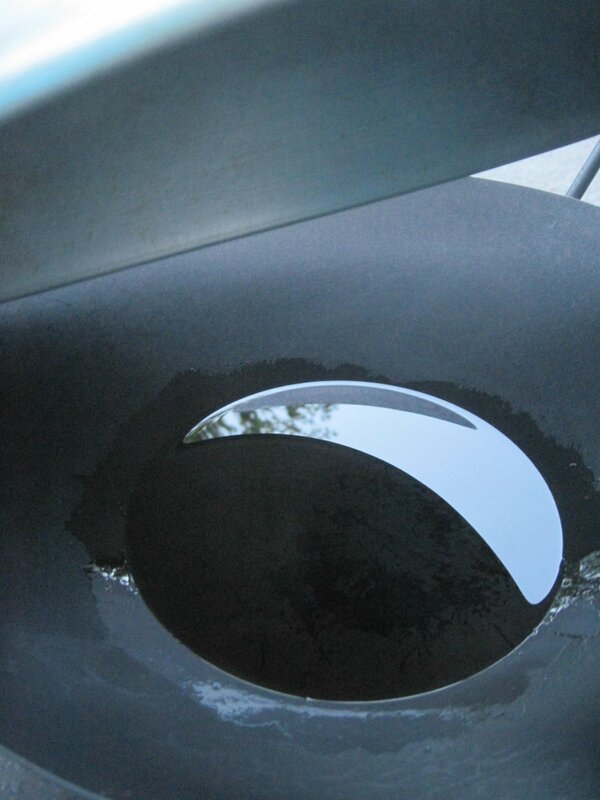 Cook your salmon in a Wok outside, so your house doesn’t smell fishy the next day. 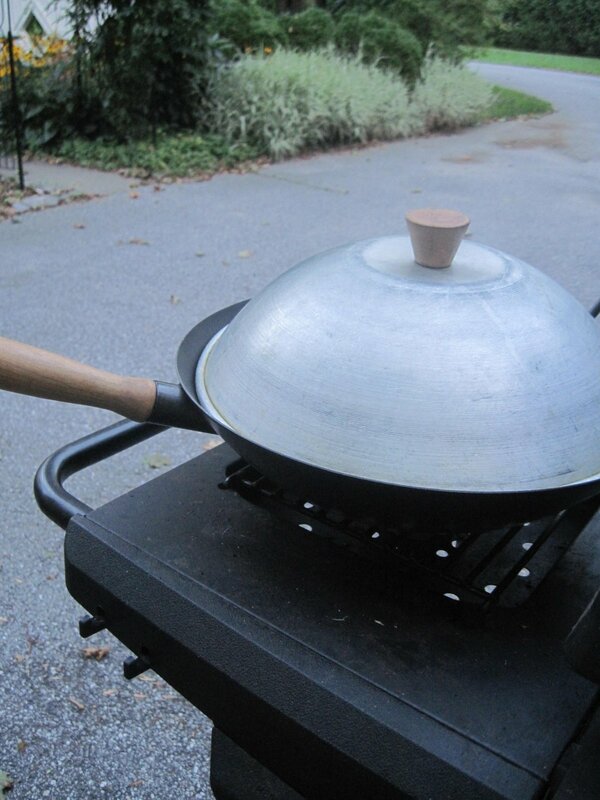 Pour in some vegetable oil to your heated wok. Cook Easy Wok Salmon on Medium High Heat. 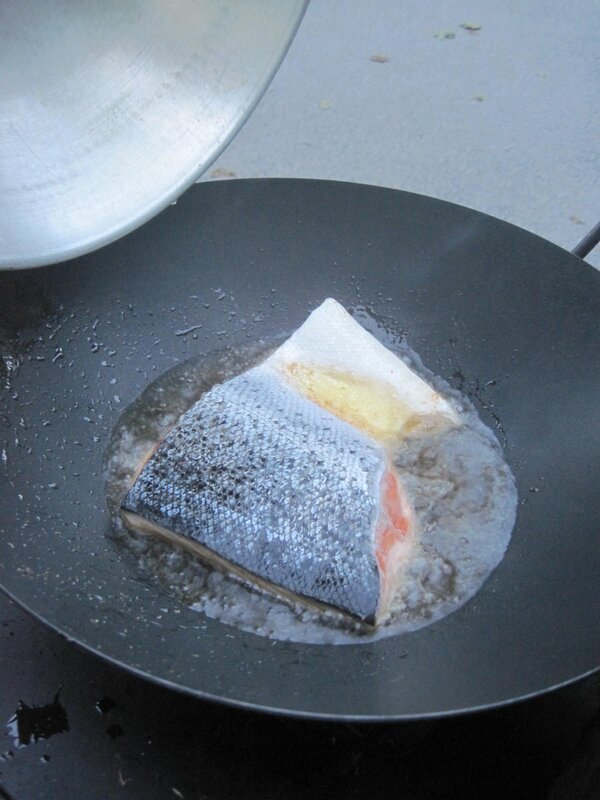 When oil is hot, carefully place salmon skin side up. 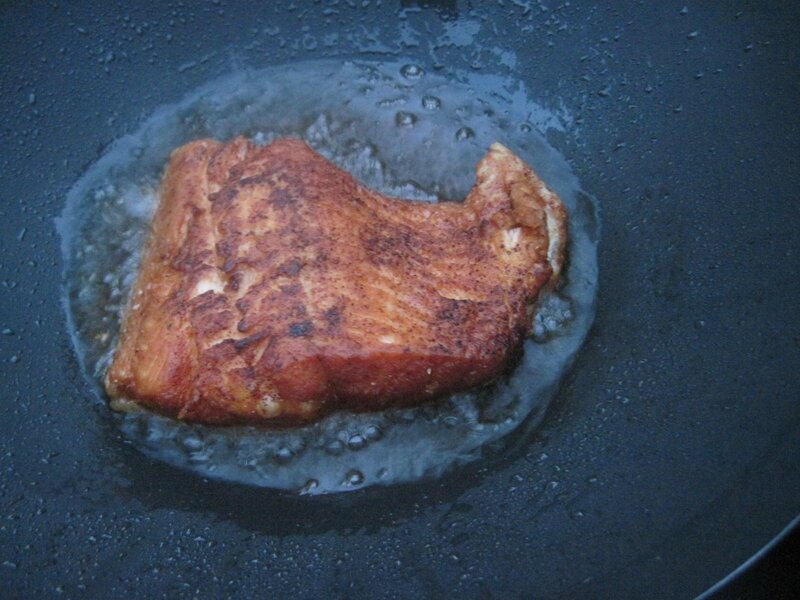 Flip over when brown and crispy about 7-10 minutes, cook skin side another 7-10 minutes. 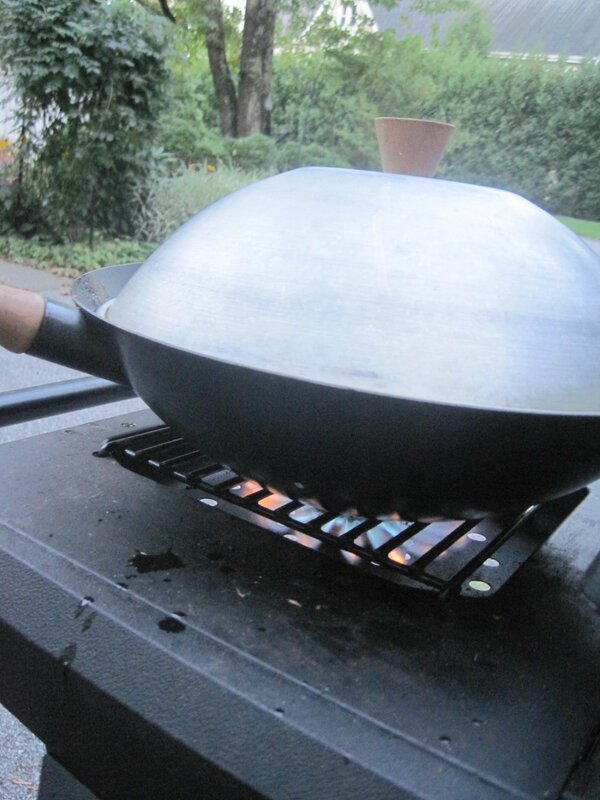 On outdoor grill on medium – high gas heat, heat wok, add 1/4 cup vegetable oil. 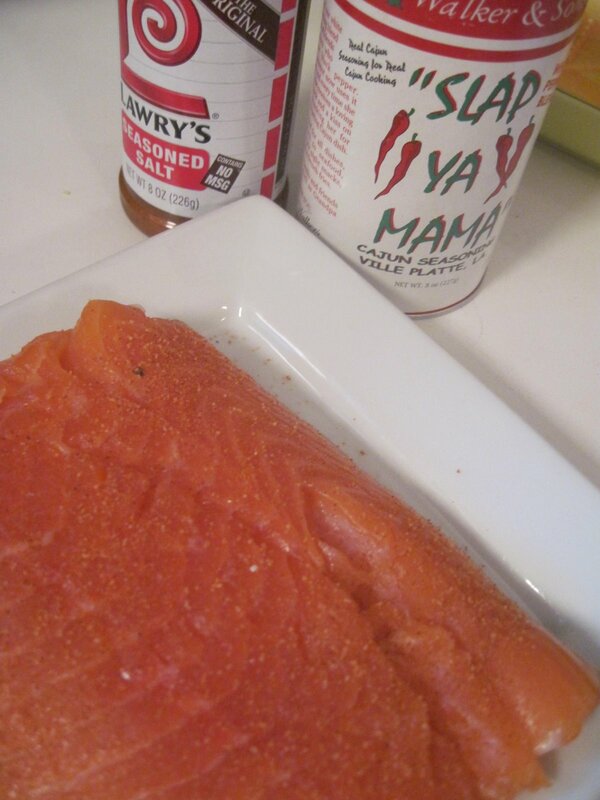 Season salmon with Slap Ya Mama and Lawry’s seasonings. Carefully place salmon in oil. Flip after 7 1/2 minutes each side. Cook until salmon is crispy brown. To make Wasabi Paste: Add 1 teaspoon Wasabi powder to 2 teaspoons water, add more water if you like like a thinner paste. Drizzle Wasabi Paste and a squeeze of lemon over Salmon. Serve with Easy Crispy Potatoes and Easy Tomatoes. 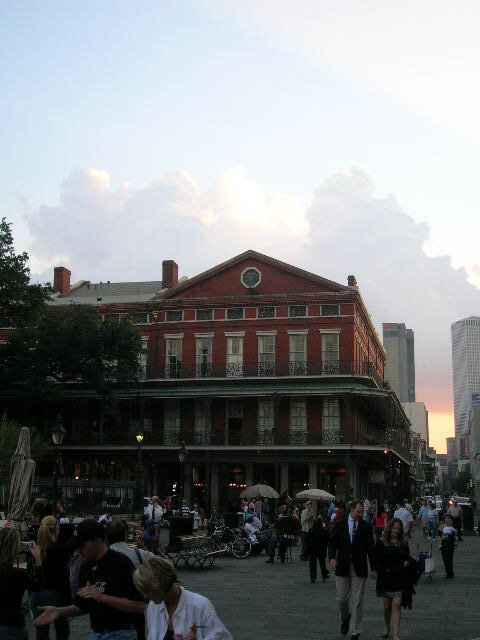 Love New Orleans and the food. 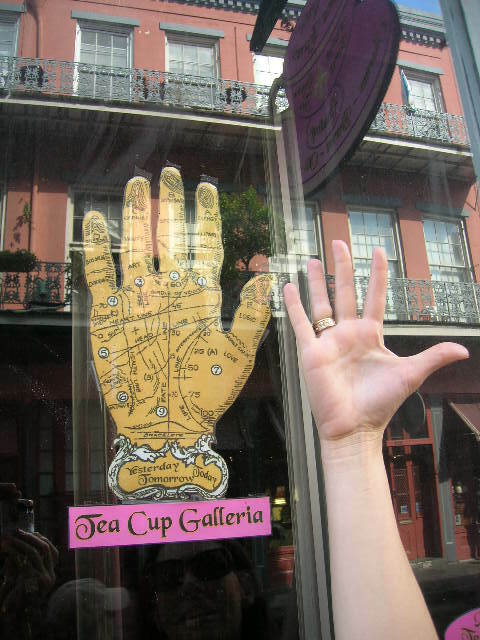 Your post takes me back! 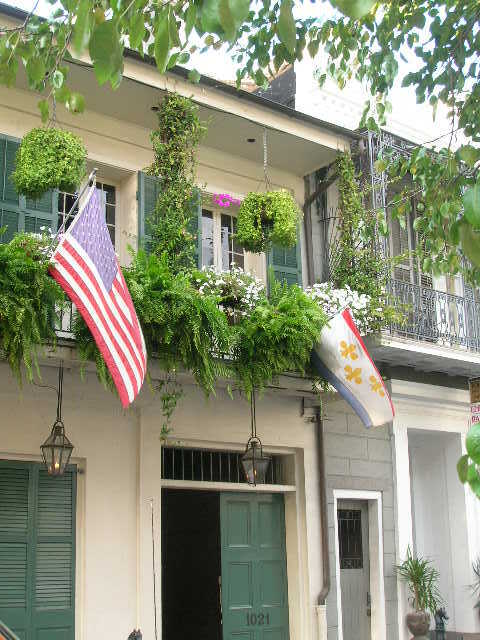 @ beautifulmemorablefood I feel the same way reading your Montmartre/ Paris blog, I can taste the baguette, nothing can come close to Parisian fare. 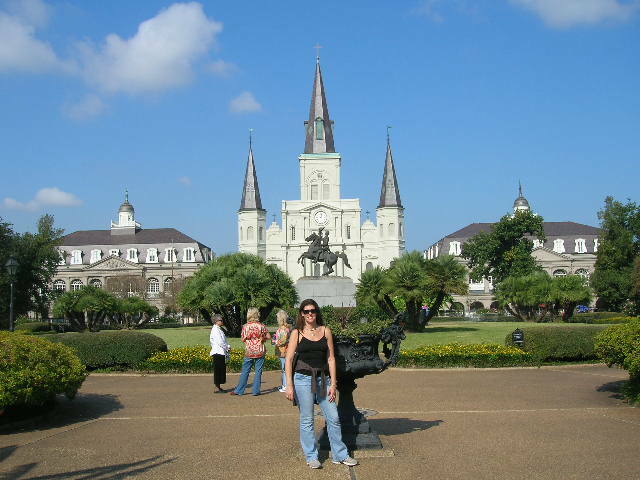 My friend Kelli from http://madsandkelli.blogspot.com/ is a Cajun expat from Texas living about 30 min. away from me, here in Denmark, and she is absolutely obsessed with Slap Ya Mama! Slap Ya Mama, it is one of my favorite seasoning Shirley!